Gabrielle Darville is a health promotion and behavior researcher at UGA’s College of Public Health. Newswise — Athens, Ga. – Most college students regularly use a smartphone, and these days there’s a mobile app for just about anything. That’s why health promoters, health communicators and health care providers have been exploring the possibilities of mHealth technologies to educate consumers about health care services. New research from the University of Georgia suggests that in the case of HPV, health care providers shouldn’t place too much faith in the smart device alone to get their message across. “Although college students own, utilize and speak technology more than any other population subgroup, this study indicates that college students are overwhelmingly hesitant to receive basic information about the HPV virus and vaccine over their smartphone,” said Gabrielle Darville, a health promotion and behavior researcher at UGA’s College of Public Health and lead author on the study. Human papillomavirus, or HPV, is the most common sexually transmitted infection, currently affecting more than 79 million people in the United States. Though a vaccine has been available for 10 years, many college students did not receive the HPV vaccine as adolescents. The study surveyed 210 students, aged 18 to 25, about their preferences using mobile health apps or texts to receive information about HPV and the HPV vaccine. Overall, respondents were hesitant to use texts and apps for HPV due to privacy, memory and data cost concerns. Their responses were also categorized by gender, age and health insurance type so the researchers could learn whether these factors further impact HPV knowledge and communication preferences. Women, students with private health insurance, and those with easier access to a doctor tended to prefer getting information directly from a health care provider. Men, however, were more likely to learn about HPV vaccines from a mobile app. “What the results tell us is that we should tailor and customize our mHealth interventions when working with the collegiate population, said Darville. According to Darville, these findings show that the traditional “one-size-fits-all” strategy of providing general information through an app may only have limited success. Co-authors include Charkarra Anderson-Lewis, Rebeccah Mercado, Jessica Ma and Jann MacInnes. 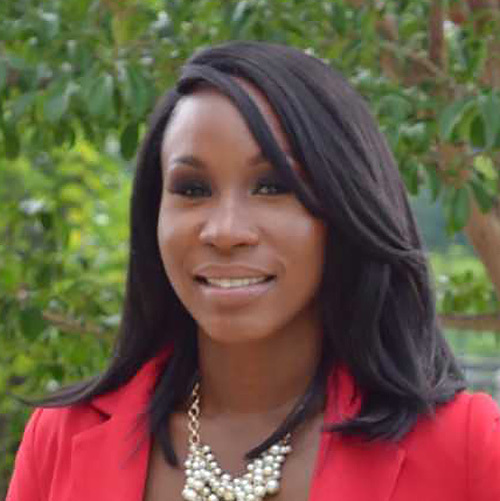 Cutline: Gabrielle Darville is a health promotion and behavior researcher at UGA’s College of Public Health.